At Telesis, we strive to be an eco friendly paint and body shop in all ways. We make sure our auto body repair processes and equipment meet the highest standards of health, safety and environmental protection. 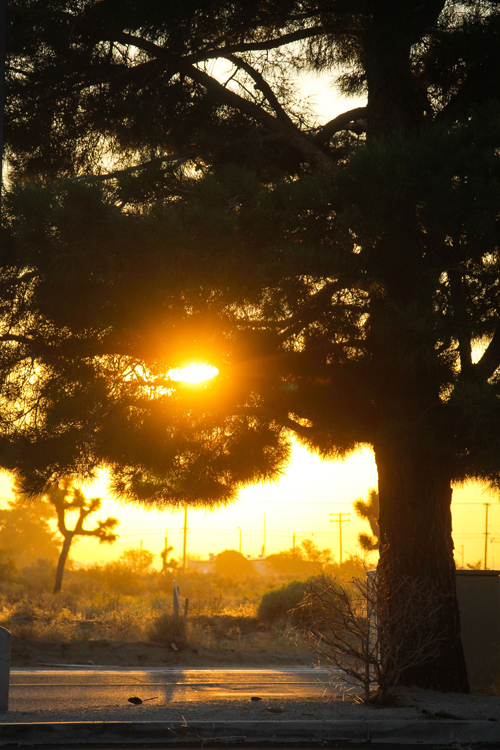 Telesis takes extra steps every day to help ensure the protection of our employees and the environment. All Telesis employees are trained to ensure an accident-free work environment by putting health and safety procedures first. Safety goggles and safety glasses are required to be worn when working on vehicles to prevent eye injury from debris, equipment or other eye irritants. All spray applications, including primer, basecoat and clearcoat, are performed in a spray booth which minimizes technician exposure to solvents and other harmful components of paints and coatings during application. 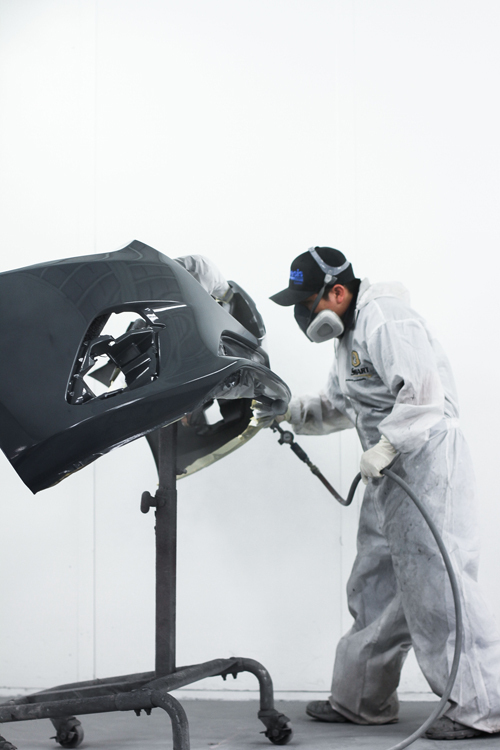 All our auto paint technicians wear hooded fresh-air paint masks. Auto paint technicians are outfitted with a full body paint suit and impermeable gloves so solvents, toxins and other skin irritants do not come in contact with the skin. We use automated gun cleaners to reduce auto paint technicians’ direct exposure to cleaning solvents. Automated cleaners also effectively reduce solvent waste and allow us to be a more eco friendly paint and body shop. We use water-based paints which are non-flammable and have low VOCs (volatile organic compounds). This eliminates fire risk and reduces solvent fumes. Thus, we can be eco friendly and contribute to better air quality within our facility and for the Palmdale community. Spray applications occur in a well insulated downdraft spray booth with advanced filtration systems, using high-tech HVLP (high volume, low pressure) guns. Each spray booth has a programmable timer with automatic shutoff to effectively reduce the use of unnecessary heat and electricity. Our fast-dry paint products significantly shorten the time it takes to dry and cure newly painted vehicles. This means we effectively reduce the amount of heat and electricity we consume. Excess paint and thinner products are always recycled. We rinse off residue with a water-based gun cleaner that eliminates fumes and the need for solvent-based thinners. Our technicians are ASE Refrigerant Recovery and Recycling Certified to comply with industry standards and regulatory requirements. We recycle all cardboard, sheet metal and plastic bumper body parts in accordance with local and state guidelines for auto body repair facilities.